The Big Cat Habitat & Gulf Coast Sanctuary in Sarasota is a haven for wild animals, big and small, and an exciting family attraction for both locals and visitors to the city. Here’s a guide to the Big Cat Habitat, one of the best Sarasota attractions. 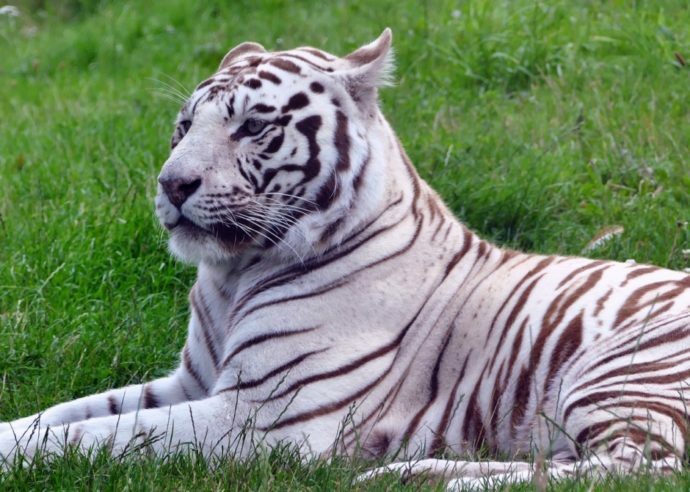 The Big Cat Habitat is a rescue non-profit founded in 1987 to provide a permanent home to dozens of exotic animals. The sanctuary is what they call a “labor of love,” relying on admission fees to feed and care for the animals. Not only is it at the top of the list of family-friendly things to do in Sarasota, but it’s also a great way to give back while on vacation. The Big Cat Habitat also serves as an education center whose mission is to teach the public, particularly kids, about animal issues and to promote habitat preservation. The goal is to instill in visitors a respect for living things around them, both flora and fauna. Their tagline is “We’re all connected,” further emphasizing their role as educators. Enjoy refreshments at the Safari Snack Bar, a small café where you can grab cold drinks and a quick lunch. There are restrooms on site, and the facility is wheelchair accessible. The Big Cat Habitat doesn’t only provide habitats for wild cats. In fact, the sanctuary is home to more than 150 animals, from big carnivores to slow herbivores. The sanctuary is home to three bears, lions, primates, and tortoises that eat up to six pounds of lettuce a day. There is also a bird habitat, with species like the macaw and the cockatoo, which can live to be more than 100 years old. They even have a liger, a rare hybrid cat that is born from a cross between a female tiger and a male lion. Kids can interact with smaller animals at the Petting Zoo, a barnyard full of goats, chickens, llamas, and emu. These domestic animals are friendly and enjoy being hand-fed by visitors to the habitat. The Big Cat Sanctuary has daily programs where you can get up-close-and-personal with wild animals. 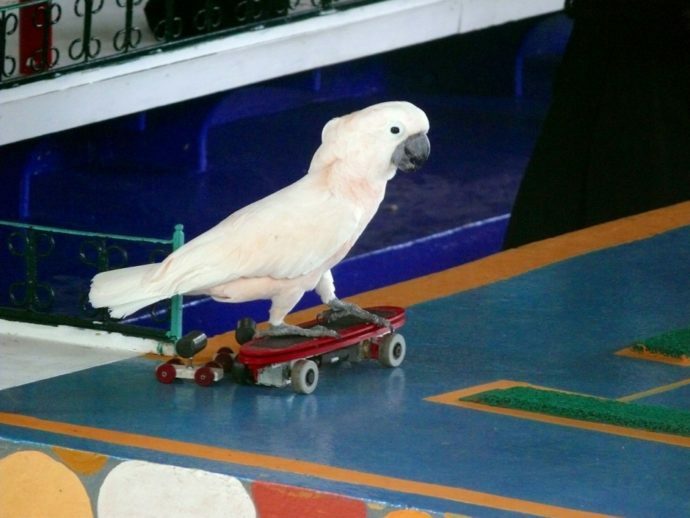 Parrots in Paradise, an encounter with resident birds, takes place at 1 p.m. on days the sanctuary is open. Interact with the birds, and learn about their care, diet, and habitat in the wild. Every day at 2 p.m. is the big cat encounter, an exciting show that allows you to see the big cats in action. Watch as they join their handlers on “stage,” while visitors learn about the importance of species preservation. Demonstrations are included with the admission ticket and are subject to change. The sanctuary is open from Wednesday to Sunday from 12 to 4 p.m. year-round, but it’s always good to double check their website for changes and holiday hours. Remember, this is first a sanctuary, and second a tourist attraction. Adult (13 and up) tickets cost $18, and children 2 to 12 cost $8. Children under the age of two get in free. They also offer annual memberships for with packages with both single and group options. Buy your tickets online to avoid waiting in line at the gate. The sanctuary is located at 7101 Palmer Blvd. just west of the community of Fruitville. That’s less than 40 minutes from Anna Maria Island, and just 15 minutes from downtown Sarasota. A visit to the Big Cat Sanctuary is one of the most fun and educational family-friendly things to do in Sarasota. Whether you’re spending a weekend, week, or whole season at Anna Maria Island vacation rentals, you’ll want to visit this zoo alternative at least once. 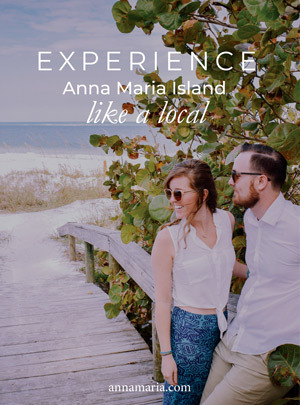 Stay on sunny Anna Maria Island, where you’re just a short drive away from the mainland activities of Sarasota County.